Place mint leaves in an old fashioned glass. Pour in lemon juice and sugar, and mix with a spoon until sugar is completely dissolved. Fill the cup with ice and pour sparking water over the top. Garnish with a sprig of mint. Enjoy! You can replace the sparking water with ginger ale for a sweeter drink. I'm a Mexican girl, but I also have southern blood in me. You see, my grandma Presley was from Missouri–hence the Presley last name. I have really vivid and wonderful memories of when I was a young girl visiting her for extended periods of time during summers. She thought me all kinds of lessons, my favorite one being about Southern foods. However, it wasn't until I was 18 that she found it an appropriate time to teach me how to make a proper Southern drink. 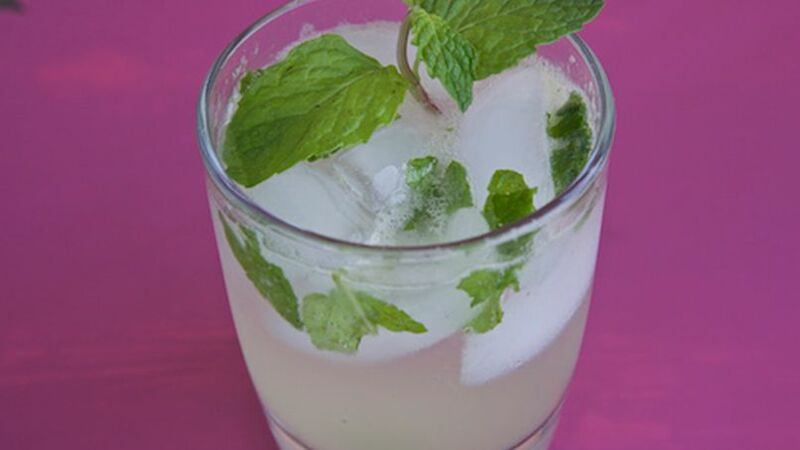 It is called “Mint Julep”, a cocktail from New Orleans typically made with Bourbon. And since I was still not of a drinking age, she prepared it as a mocktail. Check out my grandma’s own version!